According to the Leaf-Chronicle, medical marijuana bills filed this week by republicans in both the Tennessee House and Senate contain some of the most outrageous restrictions ever seen, and now some advocates are left wondering what to do next. They didn’t have to pass it to find out what’s in it, but some advocates of medical marijuana were wondering if passing the Republican version was worth the wait after the legislation made it to the floor of the Tennessee House of Representatives on Tuesday. 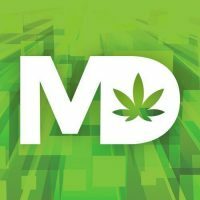 In some ways, the bill – HB1284 in the House and SB1248 in the Senate – breaks new ground for conservative lawmakers in the state in terms of what medical conditions warranted medical marijuana (MMJ) treatment, what parts of the marijuana plant were considered usable and in the types of acceptable drug delivery methods, like vaporization. But MMJ advocates like Bernie Ellis, a respected epidemiologist and Tennessee farmer, hoped to see something that would benefit both patients and growers in the state. Instead, he quickly identified several stipulations that amount to a “poison pill” that would severely restrict access, or make access punitive, while allowing only the wealthy to take part in the benefits of growing, manufacture and sales. Chief among his objections is a stipulation that patients undergoing treatment with cannabis products would have to surrender their driver’s licenses for the entire period of treatment. Anyone with a registry card caught operating a motor vehicle could have their card revoked in a hearing. In addition to the drivers license provision, also included are steep fees for potential cannabusiness owners: Only 6 providers will be allowed statewide, and anyone who wishes to apply for a license to grow and distribute marijuana must submit a non-refundable $50,000 application fee, have a minimum of $1 million in escrow at all times and maintain a $5 million performance bond. Read more about this terrible bill here. Pretty simple , legalize outdoor industrial growing of hemp/cannabis. That would immediately stop most out door grows in fear of pollination on the females plants. For female plants legalize fully, personal use , no license.. For commercial selling have a license , collect taxes, etc. But if selling without license then a heavy fine. Setting up Sam Selenzy Skunkman’s Big Pharma. Yes!!! Free the weed… Free the weed!! LEGALIZE MARIJUANA IN TENNESSEE NOW LOOK AT THE MONEY COLORADO HAS MADE OFF TAXES MILLIONS OF DOLLARS TENNESSEE IS LOOSING OUT ON LEGALIZE IT ITS CRAZY NOT TOO!!!!!!!! I agree. I am from Tennessee and I went to Colorado to a dispensary. They have made so much money that they are reducing their homelessness, cleaning up their poor neighborhoods, and putting programs back into the school system. We will really need that since Trump has eliminated funding for all afterschool programs. Good grief, didn’t I hear they sent someone on a fact finding trip to Colorado? Did they see Colorado collecting driver licenses? Bill should include a provision to allow patients to grow their own medicine. If not patients will not be able to afford to buy . 50 growers and 150 dispensaries to the good ole boys who will get rich while the majority of patients will do without. SAD !!!!!!!!!! I plan on having the relief it brings me,whether or not it’s legal or illegal.so there.. .in my world in Tn.It’s now legal.